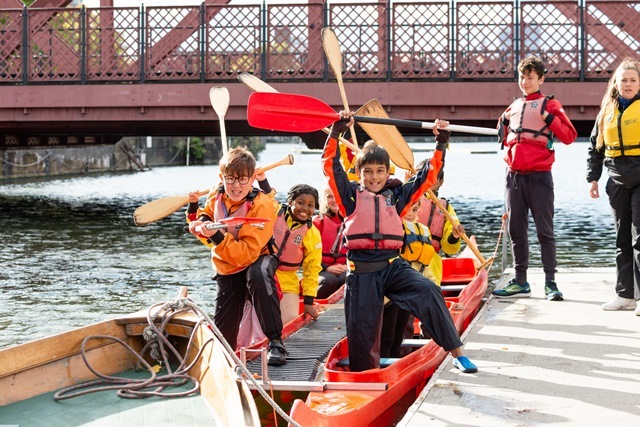 River enthusiasts new and old defied wintry weather conditions for a packed programme of events celebrating the Thames in London on Sunday (23 September). Shadwell and Putney hosted the capital’s second annual Foreshore Festival, which gave members of the public a chance to sample river-based recreational activities and also saw Molesey Boat Club scoop the Tunnel Cup, a new 10-mile race through central London, from Hammersmith to Limehouse, for five elite rowing crews based in the capital. A further attraction was the spectacle of experienced stand up paddle boarders journeying from Putney to Shadwell in The London Crossing. Organised by Tideway, the company delivering London’s new “super sewer” (the Thames Tideway Tunnel) to tackle sewage pollution in the river, the busy Foreshore Festival schedule was designed to raise public awareness of all the river has to offer and its potential to be an even greater focus for recreational activity in the future. Part of the month-long Totally Thames festival, the event coincided with the annual closure of the Thames Barrier in Woolwich by the Environment Agency for maintenance checks, providing high-tide conditions for all those taking part in events upriver. The Port of London Authority (PLA) deployed extra vessels on the river to oversee safety of all those involved, with employees also on dry land to promote The Riverside Code to families visiting the Foreshore Festival in Shadwell Basin and answer general enquiries. 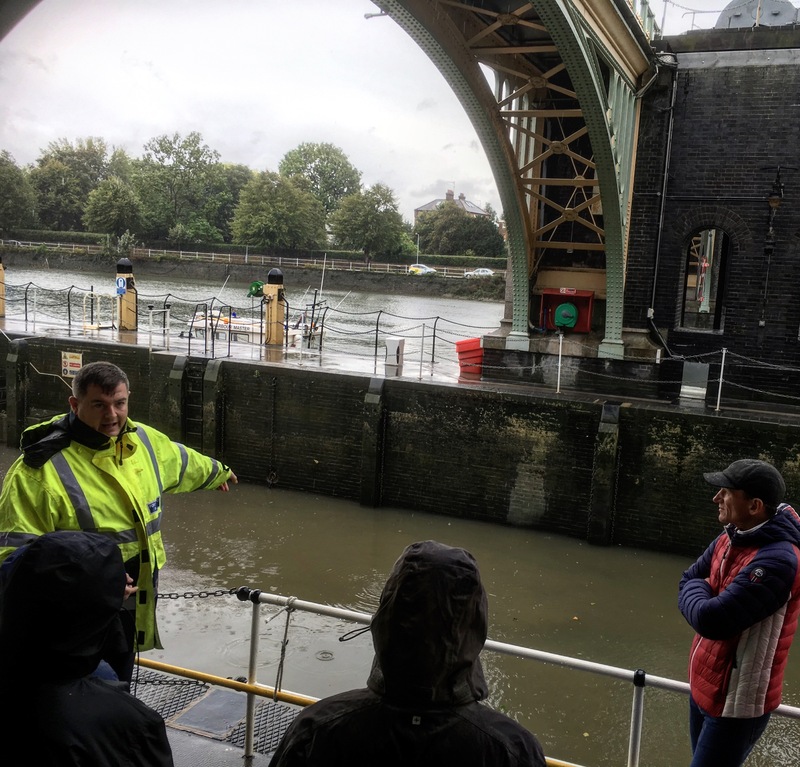 Meanwhile, upstream the PLA also welcomed scores of visitors on hourly tours of the historic Richmond Weir and Lock complex as part of Open House London. “Even the torrential rain and bitterly cold winds blighting the river on Sunday morning could not deter hardy competitors from taking to the water. “The number of people who turned out for the Foreshore Festival, even in the wild and wet weather conditions, just goes to show the extent of the public’s appetite for enjoying the tidal River Thames in a whole variety of ways – from archaeology walks to endurance sporting challenges. “The Vision we are working with all river stakeholders to deliver aims to fast track all the wider benefits to be had from this amazing natural resource flowing through the heart of the capital. The PLA launched the Vision in 2016 and will be issuing an update on progress towards the goals in October. Enquiries: Nick Tennant, PLA: 07784 208074. 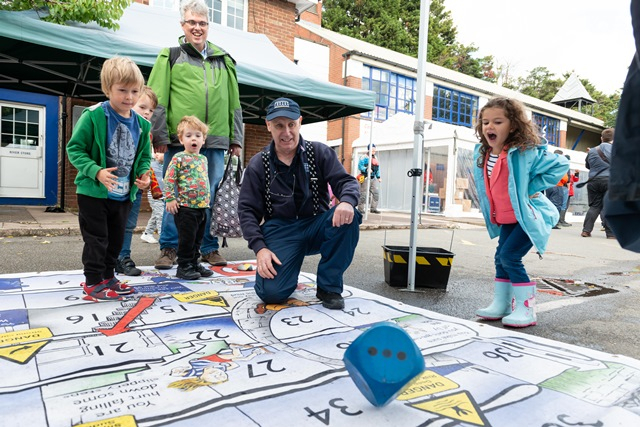 Pictures show: young visitors to the Shadwell Basin Foreshore Festival enjoying the PLA’s Riverside Code safety game and returning from a rowing taster trip; also the Richmond Weir and Lock, which welcomed visitors as part of London Open House.